WBW crept up on me again this month. It has a nasty of doing that these days…especially in short months like February. Our host this month is David of McDuff’s Food and Wine Trail. David set us to what seemed like an easy task at the time, drinking any wine, white, red, or otherwise from Piedmont. However, after checking out my local wine shop and finding only a $50+ bottle of Barolo, I had to make a rush order from Jill at Domaine547, who again humored my refusal to use her website and quickly helped me choose a half case of wine (the most economical way to ship to me that I’ve found…plus, I can always use another half case of wine…right? RIGHT?). I always like the opportunity to taste reds from Italy as I tend to find them to be great values, so I’m happy that Domaine547 had a red from Piedmont to offer me! 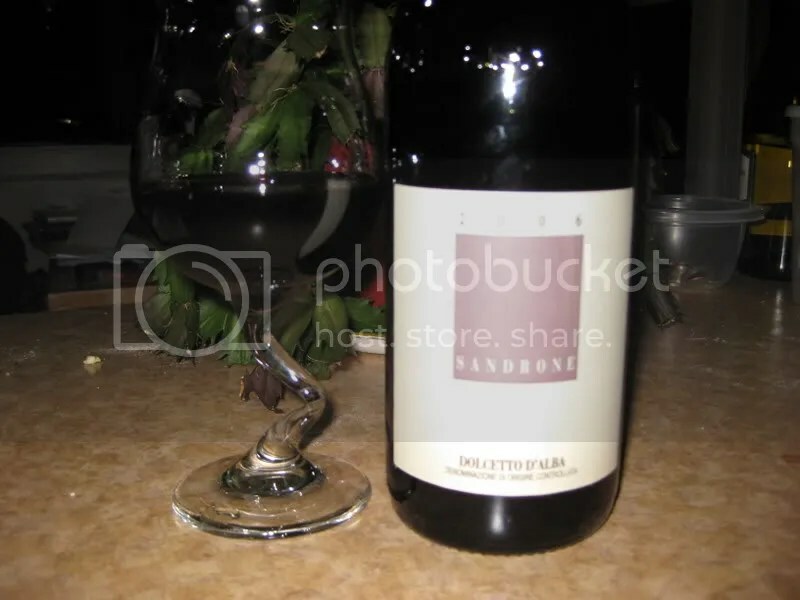 I chose the 2006 Luciano Sandrone Dolcetto D’Alba. It had a real cork closure, clocked in at 13.5% alcohol by volume, and cost me $22.99 from Domaine547. On the nose I found chocolate covered cherries, currants, berries, anise, spice, white pepper, cherry, and plums. The nose kept evolving as the wine aired, it definitely needed some time to open up. In the mouth I got juicy cherries, earth, some bitter notes, raspberry, cedar, dark fruit, and chocolate. Overall, I found the wine to be incredibly juicy. The fruit showed as fresh and bright. The wine had nice tannic structure and acidity. We ate this with roast beef and it stood up well to the meat, but I also really enjoyed sipping it after dinner. 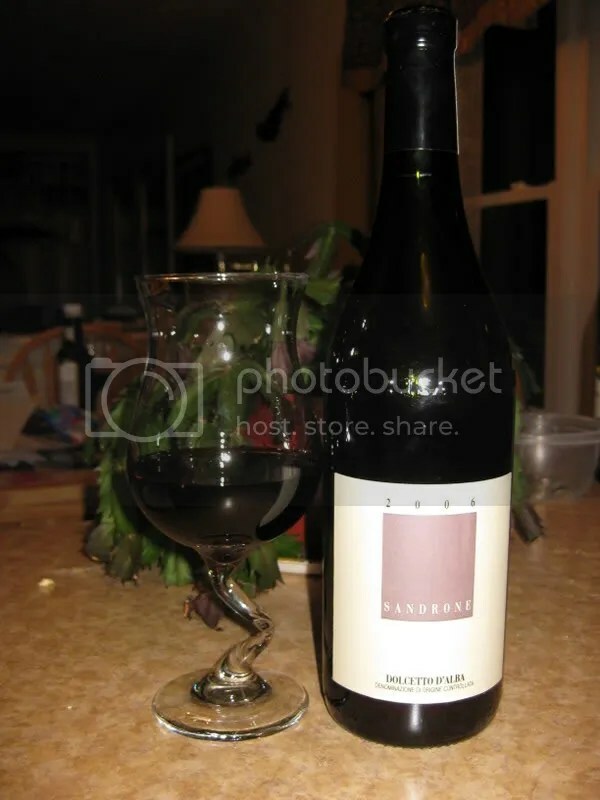 The wine is young and would definitely benefit from some vigorous decanting or some more time in the bottle. Many thanks to David for hosting and for pointing me to Italy once again. I really should drink more Italian wines! And as always, a tip of the virtual hat to Lenn, the founder of WBW. See you next month! Here’s my list, things I’ve tried are in bold, italics (because I can’t figure out how to strike-through…) are things I wouldn’t eat, I put stars next to the things I can’t identify, which probably means I haven’t eaten them. Our assignment for the first edition of the Wine Book Club (WBC) came from David of McDuff’s Food and Wine Trail. He tasked us with a book longer than any I have read in the last 5 years, unless you count Harry Potter and law school case books. Yes, this makes me less than intellectual, but honestly, I don’t have much of an inclination to read any more. I got tired of it to be truthful, and I still read so much for work, that the thought of picking up a long book when I get home just doesn’t appeal to me. I clearly read a bit, I’ve reviewed a few wine books here for you before, and will continue to do so as I get more from PR people and publishers (in fact, I’ve got one for you soon, I read half on the plane to Atlanta and intend to finish is Friday on the way home!). 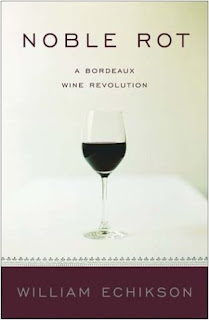 So I must say, I was actually quite glad when Dr. Debs proposed the idea of a wine book club. Like other wine geeks, wine books pile up on my shelves, and I really should get around to them! With that in mind, I picked up this month’s book, Vino Italiano, by Joseph Bastianich and David Lynch, and got to reading. It’s 531 pages including all indexes and appendices. It took me the whole assignment time, but I did it. First thoughts: The organization, especially with the appendices and indexes, makes this the ideal reference book on Italian Wine. You can find anything about Italian wine that you never thought you wanted to know instantaneously. Each chapter has a handy guide at the end giving the quick and dirty on the region, the principle grapes, key vintages, etc. I found the guides to be one of the most useful parts of the book, if you aren’t inclined to read it in its entirety, and trust me, I’d be the last to blame you for that one, you can easily flip to the guides and get a fast overview of the region, which can assist you in deciding if the chapter is one that will intrigue you or not. I see myself turning to this book both as a reference in the future, and for more knowledge on particular grapes and regions. Third thoughts: The book contains so much information, that it’s hard to digest all at once, and I think perhaps the pick and choose as you are interested in a region approach might be the best in tackling this book. 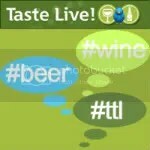 And ultimately, that’s where Vino Italiano left me: hungry (thirsty?) to try more Italian wines (and cured meats), and to continue referencing the book to learn more as I am drinking. Which, I think might be my next adventure. Pick a chapter, find a wine from that region, and drink the wine while learning about the region. Thanks to David for hosting this month and to Dr.Debs for the WBC idea!